Restaurant customers demand both personalized and innovative, yet affordable, service delivery and may appreciate authenticity. Accordingly, restaurant groups that seek expansion must consider how to respond effectively to the standardization–authenticity paradox. How can restaurant managers use these concepts for the strategic positioning of their restaurant group? This chapter presents and discusses literature about authenticity and standardization, both in general and specific to restaurants. The combination of the concepts results in a theoretical model to analyze the variations in the standardization–authenticity relationship. 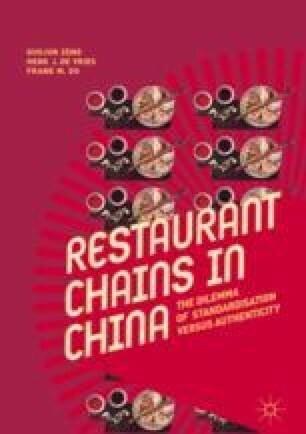 Restaurant group expansion strategies are classified into four extremes: standardization of authenticity, authentic alliance, standardized chains, and heterogeneity.